ARIES – Today there are chances that your romantic partner might feel neglected. It’s the right time to clear all misunderstandings and to show that you really care. Parents of those who are single might not allow them to go out of party today. Share market investors are advised to avoid gambling or speculating on stocks today. Especially if they are investing other people’s money. Politicians need to learn from their past experiences as the key to their success might lie in their past. Sportspersons who have trained hard for some time now will finally benefit from all their effort. They will set new records in their respective sport. You will find relief from pains like headache, backache or toothache. You’ve been suffering from these ailments for some time now. 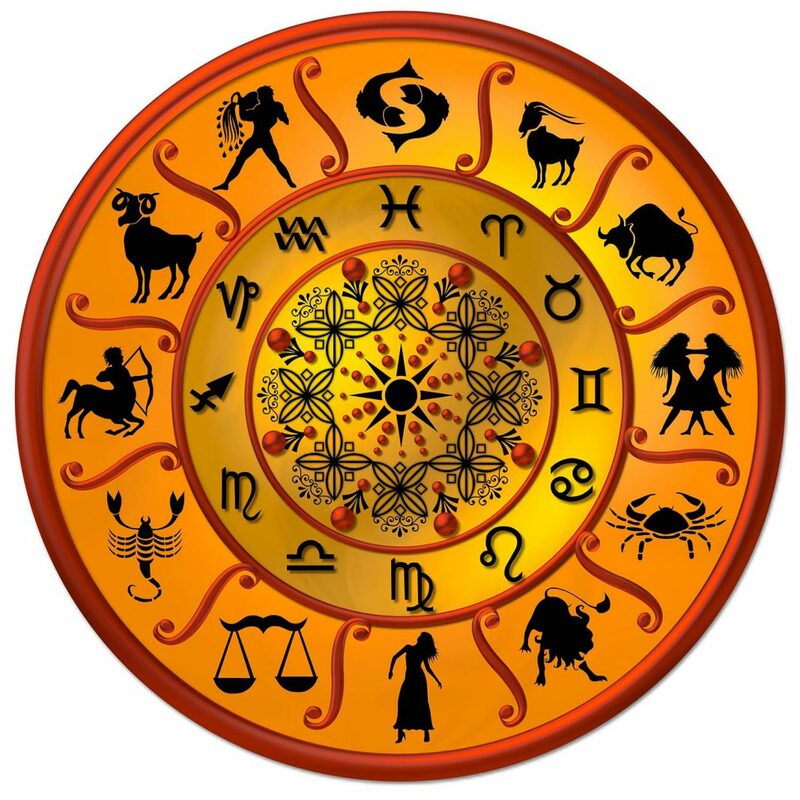 TAURUS – Those who are single might spend their day with parents. They might go out shopping or just drive around. Children awaiting their examination results might be disappointed today. They need not take it too hard on themselves as they would certainly excel in their next exams. Students are advised caution while talking with friends or classmates. There are chances of misunderstanding coming up. Sportspersons involved in a long-drawn controversy will finally get redemption. Their names would be cleared of any wrong. Artists planning to pursue higher studies may have to wait for a few days. The results of the entrance exams they have appeared for would be declared in some time. Those who have been severely ill may find some relief from pain today. They might also be on the road to recovery. GEMINI – Romantically involved couples might have to stay away from each other today. They might have other engagements which might force them from spending time together. Children going out for boating or trekking need to be very careful. Adults accompanying them should take all caution as minor accidents are predicted. A romantic trip with your beloved is predicted. Good reasoning powers that help make quick decisions would help share market investors today. They might have to make some real fast decisions on some shares. A dull and worrisome day today for teachers as someone in their family may not be keeping too well. Those suffering from serious illness will benefit a lot from the love and care provided by near and dear ones. It will bring them relief and some happiness. CANCER – Unfavorable circumstances are predicted for lovers today. It would be advisable if they were practical rather than emotional. Love and romance would be out of bounds for those who are single. A long drive with a loved one will make you happy and energetic today. Businessmen and industrialists might sign on new contracts for a new venture today. Those in the real estate business, especially agents may sign new partnership deals today. This will surely be very profitable in the near future. Teachers may have a surprise awaiting them today. It might either be a promotion of a salary hike. LEO – Those who are single might today meet someone who comes from a different culture and background. They are advised not to rush in to making commitments. An unexpected business trip might disturb your schedule. But eventually the trip and the consequences would work out in your favor. A very good day for those in the share markets. They could make a financial fortune today. A mentor will help politicians in building the foundations of a promising career in the political arena. Taking medicines today will help you recover fast. VIRGO – If you have found the love of your life, then today might be a good day to shed all your nervousness and express your love. You can be certain of receiving a positive response. Those unemployed might profit from investments made in business. Students might get involved in dangerous activities today. They need to be very careful of what they are getting into. Sportspersons will be very active today. They would feel very energetic and up to a challenge or adventure. Women who are active socially and movie artists might have to suffer humiliation today if they are not very careful. LIBRA – It’s advisable that you do not hurry into a new relationship. There are more chances of you having to regret it later. Married couples are advised to take the opinions of other family members before they go ahead and take any important decision regarding the family. A favorable day ahead for doctors as they get their juniors to do the job without having to direct them. Ambition to excel would be what drives professional players today. Not a good day for people in the showbiz as they might show some emotional instability. An auspicious function might bring some solace to them. Lot of sunlight, fresh air and physical activities in the outdoor is just what the doctor prescribed for you. It would help you very much. SCORPIO – Married couples might look forward to a romantic lovely day. Children who excel in their studies and other co-curricular activities will leave a good impression on their teachers and other students. The unemployed may finally expect some good news. Job offers or new opportunities may come from old friends or relatives today. Businessmen will make major progress in their business plans. Taking careful steps would help deal with any further complications. Those in the legal profession will work towards establishing their business and career. They would take the steps towards this goal today. An empathetic nature, especially towards students will help teachers resolve the problems students come up with. SAGGITARIUS – Married couple will experience a new ease between them. Small gifts given with loving words would bring back the romance in marriage. Those who are single might find someone very interesting today. But it would be advisable not to jump to any conclusions and take any sudden decisions. Children who respect their elders and have a kind and generous heart towards the poor will gain the love and admiration of all at home and school. You can expect travel opportunities today. A leisure trip to an amusement park or some such place will bring teachers close to their students. Politicians will see an increase in their supporters today as more and more people join their cadre or come out in their support. CAPRICON – Those who are single might today enjoy an intense love life and a joyful personal relationship. An elderly person in the family might tend to nag a lot. A little patience while dealing with them will help a lot. Students are advised to be alert today as logical abilities might be at it’s lowest. They would also need to be serious about their group studies. An energetic day ahead for sportsmen as they will feel up to any challenge. Those who are in the show business need to be very cautious today of old enemies. They might try to harm or mar their popularity. AQUARIUS – Those who are single but in a relationship might feel happier, in control and ready to salvage a broken relationship with their lover. Children need to be encouraged by parents and teachers to be ready to face life full and square. A good day to seek out help from influential people in securing employment. Legal case, if any, in the court would today take a positive turn for you. A witness or a document or your lawyer will change the course of the case in your favor. A favorable time for students desiring to pursue higher studies. PISCES – Reach out to the person you love and celebrate togetherness today. Parents are urged to encourage their kids to have a positive outlook on life. It would prepare them to face anything in life. You might get a new job offer today. This job would bring you fame and recognition. Advocates can expect new cases coming their way today. These cases would bring reputation and money for them. Parents, teachers and friends will guide students today and help them choose the best option for their higher studies.